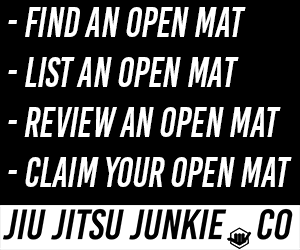 So, how did you get into doing Jiu-Jitsu? How did it feel standing on the podium of the ADCC after going for a full 40 minutes with Orlando Sanchez? As a part-time grappler, how do you manage work and training without becoming burned out? What was your preparation for the ADCC? Thank you Jared, and good luck for the future! So today is a big day for Attack The Back, we have managed to get hold of the ADCC, +99kg silver medalist Jared Dopp! Jared took the world by storm a few weeks ago placing second in this year’s ADCC after an epic 40 minute wrestling match against Olando Sanchez. The incredible thing about Jared, is that he doesn’t do Jiu-Jitsu full time, during the day he is studying for a Chemical Engineering degree at the University of Oklahoma and interning and Boeing. I honestly got into jiu-jitsu in 2005. My cousin, Mike Mullin, is a BIA (Bureau of Indian Affairs) Officer in Miami, OK. He and I actually received our karate black belts under the same instructor. Our instructor, Scotty Baker, allowed him to teach jiu-jitsu to local police officers as a form of self defense. Scotty and Mike both encouraged me to start working with them because they needed another body of similar size and they thought I would enjoy it. Back in those days we just trained in shorts and Tshirt. Now I didn’t do this very often because I was very busy in high school with football, track, powerlifting, and karate. I’ll say it was never a good idea to expect me at class. Then I went to play college football for part of 2007 and started doing a little jiu-jitsu again in 2008. By this time they had started using the gi. I decided I wanted to test for my blue belt so I went to a Renato Tavares seminar in Norman, OK and barely passed the test! From there I spent some time playing around with MMA then moved to Wichita Falls, TX to play 2 more years of college football. 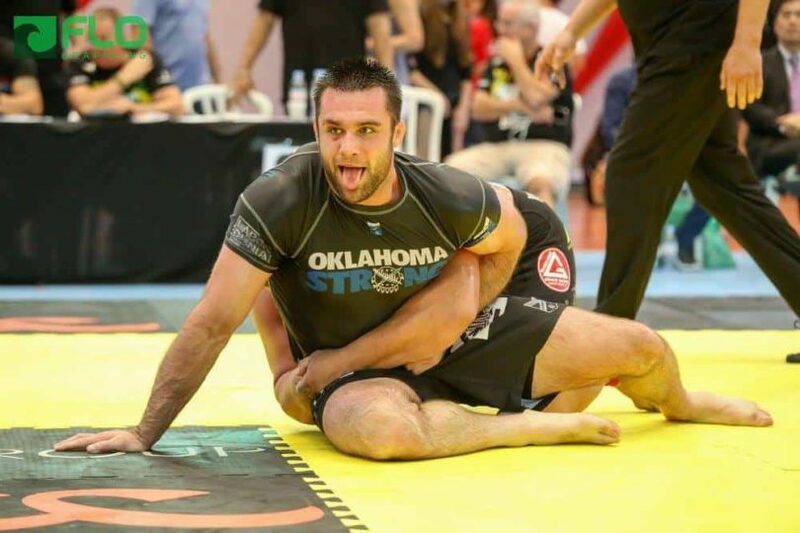 When I decided I was done with football I started working with some local MMA guys then met Griffin Phillips and started training strictly BJJ with him at Texoma BJJ. His school was a Lovato affiliate at the time but it is now. Griffin is the one who actually educated me about jiu-jitsu and really got me involved. That was in 2011 when I started training twice a week and competing on a regular basis. Standing on the podium made me realize that I should take the time to be proud of what I accomplished. Immediately after any match I always go over in my head what I could have done better. Standing on the podium made me appreciate what I had overcome to get there allowed my mind to relax. I will tell you that 40 minutes with Big O is exhausting! I was thoroughly impressed with his physical strength and mental toughness. I would say that was definitely the hardest 40 minutes of my 19-year career in sports. That’s actually an interesting question because I did go full-time in 2013 and didn’t enjoy it. Jiu-jitsu became a job and it doesn’t pay purple belts very well! That being said, I had to work at the academy but being there all the time burned me out. I actually needed school in order to challenge my mind. I started chemical engineering at the University of Oklahoma in January 2014 and I started to enjoy training a lot more. I started waiting tables at Red Lobster as well. I even waited tables and worked as a chemistry teaching assistant in the fall of 2014. I didn’t stop waiting tables until May 2015 and started my internship at Boeing in the beginning of June 2015. At the moment I’m trying to juggle a full-time school schedule, part-time work at Boeing, being a president of a student organization, and jiu-jitsu. I actually really enjoy it; I just wish I could get more sleep! Each activity helps pull my mind away from the other activities. Obviously work is to make money and propel myself into my career while school is to pursue my intellectual interests and set me up for a good job. Jiu-jitsu takes my mind off these things but they also give me a break from jiu-jitsu. I’ve also had less injuries since making this decision. The only thing I get burned out on is the constant grind. Any free time I get is extremely precious to me. I’ve been training 1-2 times a week but I moved it up to 3 times a week for ADCC. Two of the advanced classes during the week and the competition class on Saturday. I wasn’t able to make the special training sessions or the trips to OSU for wrestling because of my internship. 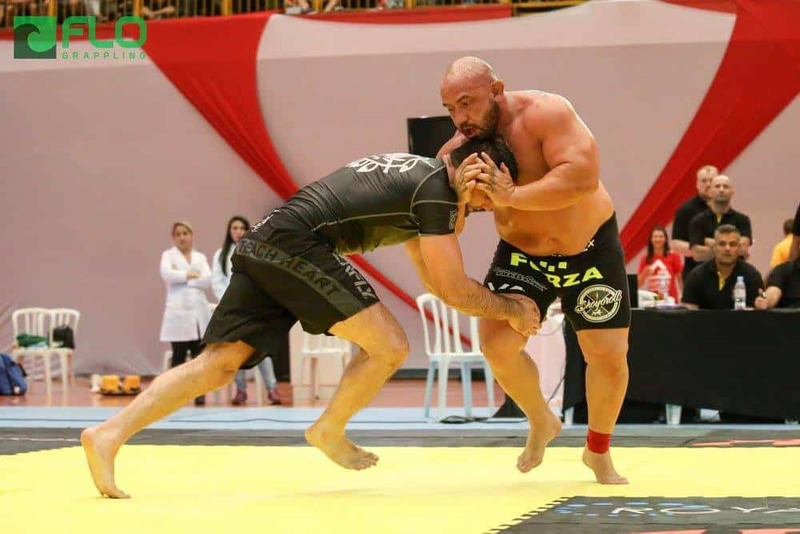 I trained strictly no-gi for a little less than 2 months and tried to put on mass. As you can tell, I wasn’t able to put on much weight. I started out lifting really heavy but suffered a really bad groin injury early in July so I couldn’t lift the way I wanted. I also had to find a way to train around that injury because certain movements would cause a lot of pain. I felt pretty good by the time ADCC rolled around but I was still really careful to avoid hurting it worse. James Puopolo came to train with us for the recent Five tournament so I got some round with him. Xande also came to train with us near the end of camp so I was able to work with him as well. Rafael, Rader, and I made sure we mixed in some overtime rounds as well as a couple 20 minute rounds to simulate the tournament. I’ve decided to go ahead and jump in the Dallas Open on September 19-20 so I can stay sharp. I’m looking to do the Metamoris Challenger event in Dallas October 3rd and I will probably compete in No-Gi Worlds in November. I’m also going to start looking into doing seminars. I’ve never done one before and I think it would be cool but I don’t have a date for that yet. Thank you so much for the opportunity! May I mention my sponsors here? Thanks to Hyperfly, True Nutrition, and Studio 540 for supporting my jiu-jitsu habit!